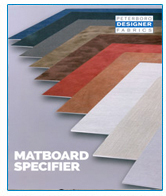 To request a sample of Peterboro Matboard products, or to join our mailing list, click here. Click here for news and new product announcements and info. 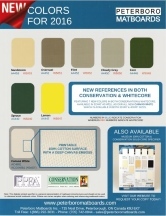 See which PPFA Matboard category Peterboro’s matboards fit into. 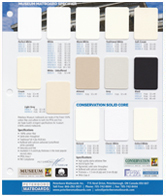 Peterboro Matboards Inc. has been a pioneer in Specialty Art and Framing materials since 1902. We are proud to be one of only a handful of manufacturers world-wide that continues to produce an extensive line of matboard products. 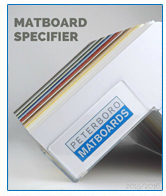 Meaningful innovation, cutting edge technology, and one of the highest quality standards in our industry continues to keep Peterboro at the forefront of matboard producers. 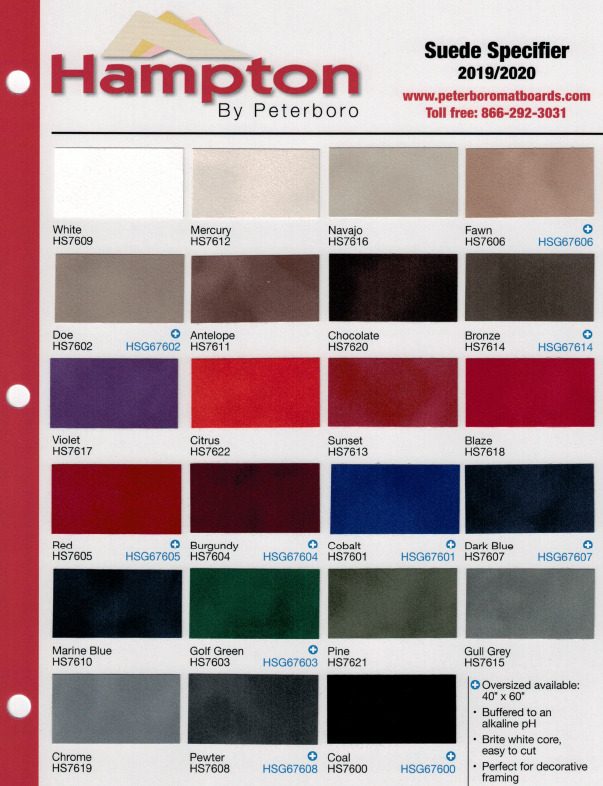 For every level of matboard quality, Peterboro has an extensive product offering. 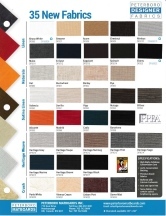 From our 100% cotton Museum board down through to the basic creamcore, Peterboro provides framers the matboard selection they require to remain competitive in today's market. "PPFA Comparative Standards are intended to describe and categorize materials and methods, helping framing practitioners compare attributes and limitations in order to determine which selections would be most appropriate for a given framing project. The comprehensive list of alternatives may provide insights about materials or methods previously unknown to a framer, which could better serve the framing purposes. Ultimately, these standards are intended to promote clearer understandings of composition and quality, providing better perspective of the range of framing choices."